Passed by Al-Thuraya complex the other day searching for a birthday gift, so went to Moschino to check out if they have something worth buying. 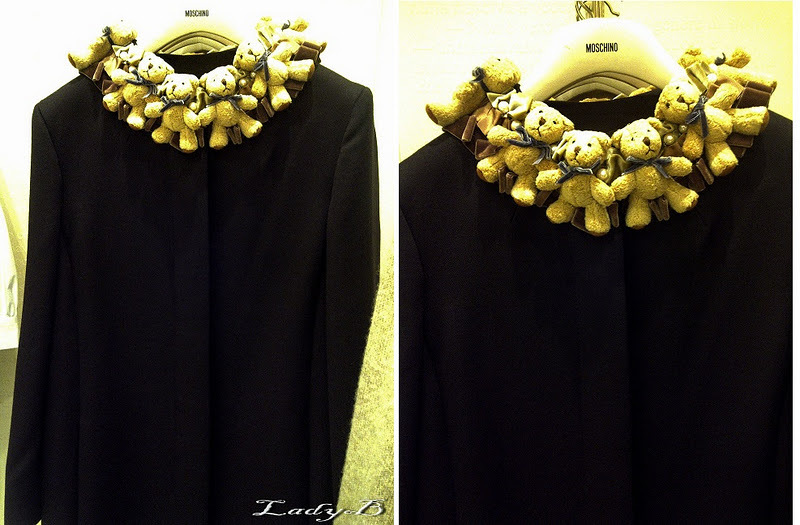 Most of the winter items were incredibly quircky and un-expected , adorned by cute teddy bears and funny words. Cute cotton tshirt with a mini teddy teddy bear attached to it next to the collar. 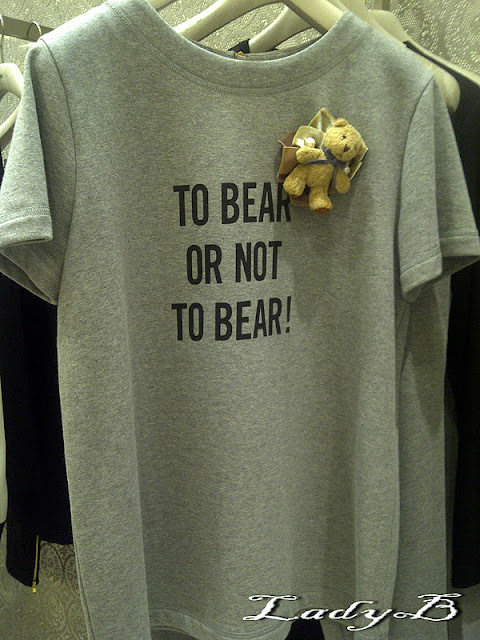 "To Bear or Not to Bear ! " 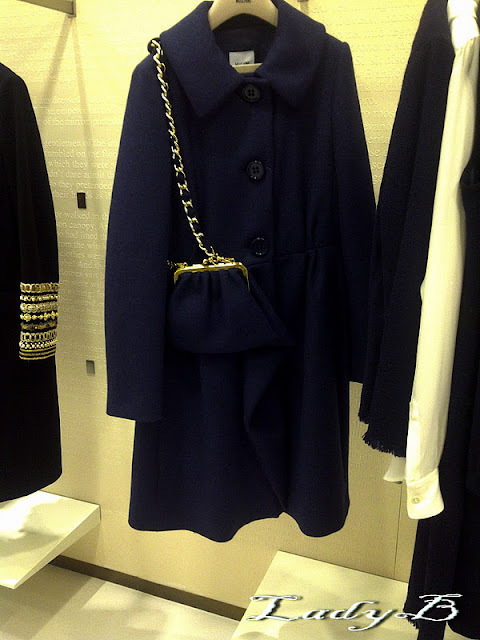 And on a non Beary note, Found this really nice coat with a chain bag attached to it to do the job of a heavy warm coat / handbag at the same time ? Is isn't it super adorable? 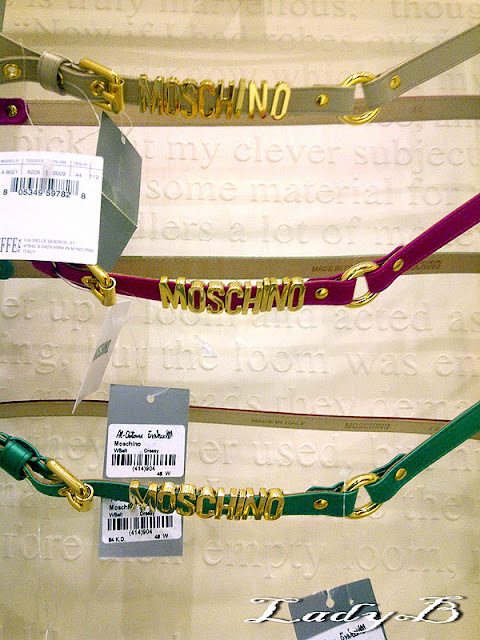 I was hoping to find the classic Moschino belt from the old days, but only found this thin version in those three colours above! I think I'll hunt the old school belt online sometime soon, since the one we used to own is no where to be found ! 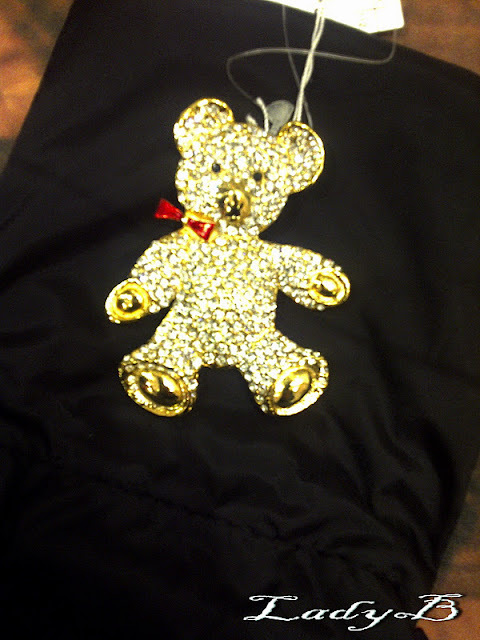 the bear t-shirt is so cute!